A group of researchers from the United Nations University-Institute for the Advanced Study of Sustainability (UNU-IAS) based in Tokyo, Japan visited the Philippines on Oct. 24 to 26, 2017 for a consultation and training workshops on the Water and Urban Initiative (WUI). 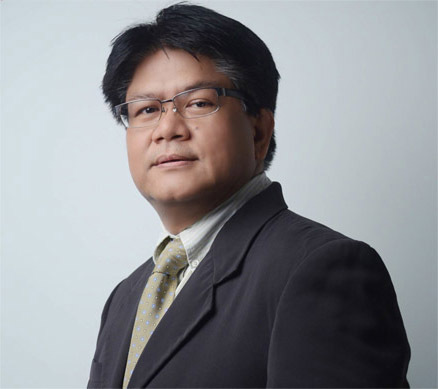 The workshops are co-organized in Manila by UNU-IAS and the University of the Philippines School of Urban and Regional Planning (UP SURP). Implemented in selected Asian cities, WUI is a four-year research project that aims to contribute to sustainable urban development by creating scientific tools to forecast the future state of urban water environments. On October 24, 2017, the UNU-IAS team composed of Dr. Binaya Mishra, Dr. Mohamed Kefi, Dr. Pankaj Kumar, Dr. Yoshifumi Masago, Dr. Shokhrukh Jalilov and Ms. Misato Dilley shared the key findings of their research work on flood risk and damage, water quality, and water-borne health risks using the case of Metro Manila Philippines. The final simulation model incorporated the recommendations of the first consultation workshop held on March 2 and 3, 2017. To complement the UNU-IAS WUI project, Ms. Yayoi Yoshioka Of Nippon Koei Co., Ltd., talked about low carbon technology for wastewater management which focused on the forecasting of future greenhouse gas emissions from sewerage systems. She shared the process of estimating the effects of GHG emission reduction resulting from low carbon technologies in the form of a GHG estimation tool. An important aim of the WUI project is to provide capacity development to local policy makers, experts and practitioners on how to improve the urban water environment. To achieve this, a two-day hands-on training workshop was organized, covering the use of the Flo-2D flood management and damage assessment model, and the WEAP water quality model. The training workshop on flood modelling and damage assessment was conducted on October 25-26, 2017 and was attended by researchers and practitioners from government agencies such as the Department of Public Works and Highways (DPWH), National Mapping and Resource Information Authority (NAMRIA), Philippine Atmospheric, Geophysical and Astronomical Services Administration (PAGASA), Metropolitan Manila Development Authority (MMDA); research institutions like the University of the Philippines Nationwide Operational Assessment of Hazards (UP-NOAH); academic institutions such as De La Salle University (DLSU) and UP SURP; non-government organizations like Assistance and Cooperation for Resilience and Development Inc. (ACCORD); and the local governments of Antipolo, Valenzuela, Pasig and Quezon City. Participants learned how to use tools such as FLO-2D that simulate flooding and estimate flood damages. With the additional knowledge on flood modeling, it is aimed that these stakeholders can come up with and implement policies that address the future risks of urban flooding. 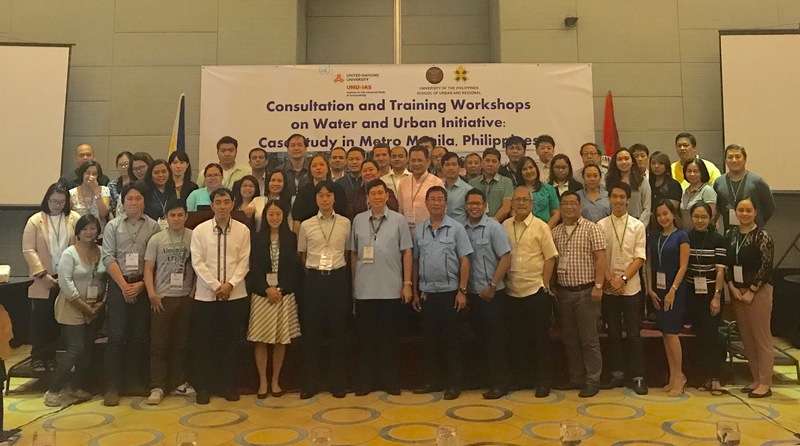 Simultaneously, the training workshop on Water Quality Projection Model was joined by technical experts from the Local Utilities Administration (LWUA), Manila Water Company, Inc., Manila Water Services, Inc., Pasig River Rehabilitation Commission, Pasig River Integrated Strategic Master Plan (PRISM), PAGASA, University of the Philippines Department of Environmental Engineering, UP Manila College of Public Health, UP Institute for Environmental Science and Meteorology, and UP SURP. Through the workshop, the participants learned how to operate the Water Evaluation and Planning (WEAP) software, a tool used in integrated water resources planning and in water management policy analysis and policy making. Ultimately, it is hoped that such scientific tool that simulates the future water quality deterioration affected by climate change, land use change and urban population growth can result in strategies that can improve water quality at present and in the future. Through the findings and output of the UNU-IAS WUI project, policies, both structural and non-structural, were recommended to help attain the Sustainable Development Goals on clean water and sanitation, sustainable cities and communities, good health and well-being, industry, innovation and infrastructure, and climate action.